Chocolates or a nice candle? 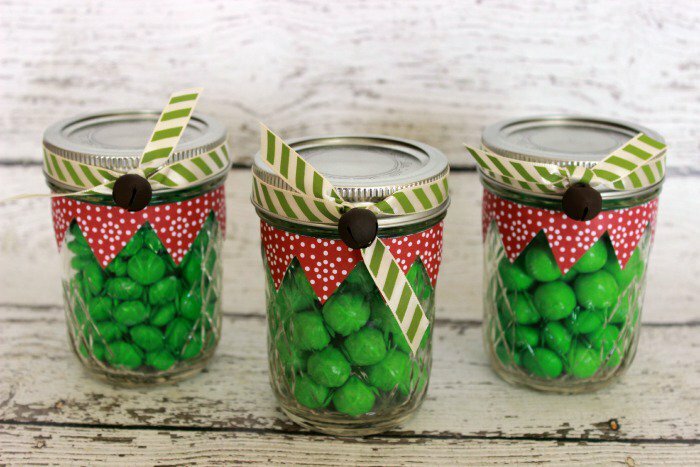 Before you head to the shops to buy the usual stuff, we've got some brilliant alternative ideas for you to ponder, and some of them won't cost you a penny….. If your children enjoy baking, get them in the kitchen and whip up a batch of homemade biscuits. Gingerbread smells gorgeously festive, and the kids will be itching to tell their teacher that they made their Christmas gift themselves! Or how about a hand painted Christmas bauble, decoration or card? It will certainly keep the kids busy for a bit while you get on with a job or two! And they certainly don't have to be prize-winning masterpieces, it's the thought that counts right? 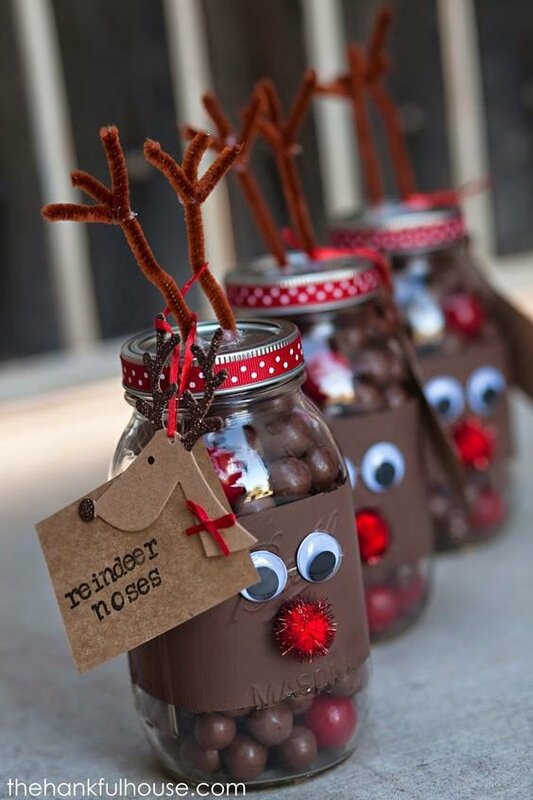 There are tons of brilliant homemade gift ideas on our Pinterest boards, go and check them out! If you'd still rather buy a gift than make something, ask your child what their teacher likes. Do they love their mid-morning coffee? Have they got any pets or hobbies? What do they talk about in class? 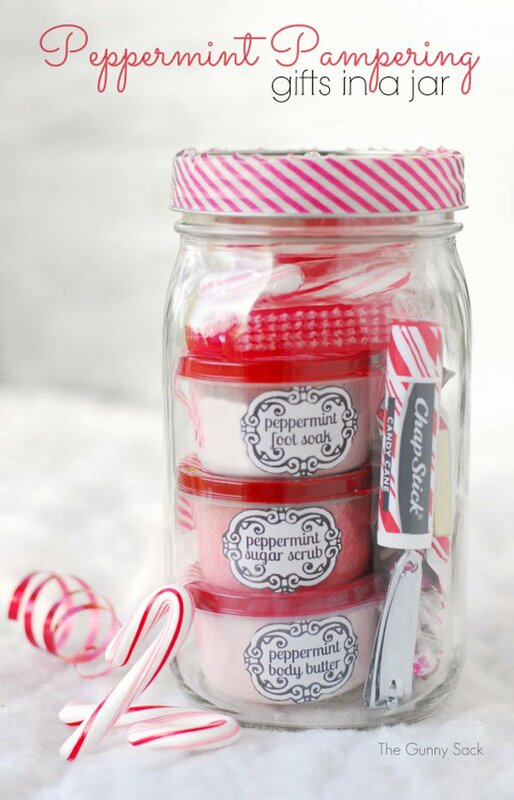 You could make up a mini hamper of gifts, some of the cheaper high street shops sell kits containing a basket, cellophane and ribbon that you could fill with a few gorgeous goodies, maybe special coffee, nice chocolates, a mini bottle of Prosecco and some bubble bath. Tie with festive ribbon and maybe add a tag decorated by the kids. What teacher wouldn't love that?! Or a gift card could be the perfect solution, you could even pitch in with a group of parents and get a collection going. Is there a local spa or beauty room where they could have a well-deserved massage or manicure? Or you could opt for restaurant or cinema voucher so they can treat themselves to some quality time with their family. Loads of options with this choice! There are some gifts you can give that won't cost you a penny but will be equally well received! One of the greatest gifts you can offer a teacher that won't cost a thing is your time! You could volunteer to read with the children, help out on school trips or at a PTA event, help with an art project, or ask them what they would like help with the most. It doesn't have to be a regular commitment, most teachers appreciate any offer of help, however small! 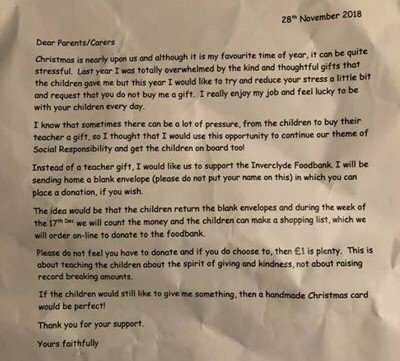 If you're feeling creative you could design a voucher to give them (there are templates online you can adapt easily,) so they can either redeem it when they need an extra pair of hands, or you can be specific about your availability if time is tight. Offers of supplies for the classroom like pens, Post-it notes or glue sticks may sound boring, but will no doubt be greatly appreciated! Or donations of outgrown books, toys or board games for rainy play times. A handwritten note of your appreciation, tied with a ribbon would be also be a lovely keepsake. 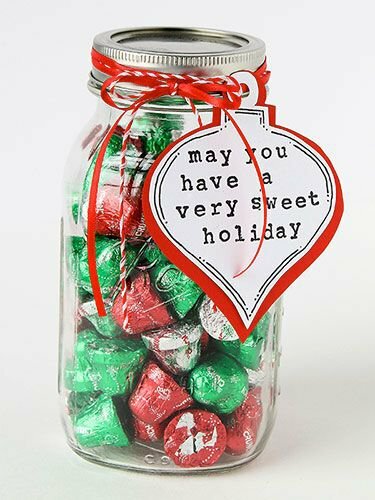 Whatever you decide to give this year, your teacher will surely appreciate any heartfelt gesture, big or small. But with a bit of thought you can avoid giving a gift that sits in a cupboard for months on end, or finishes up at a car boot sale! 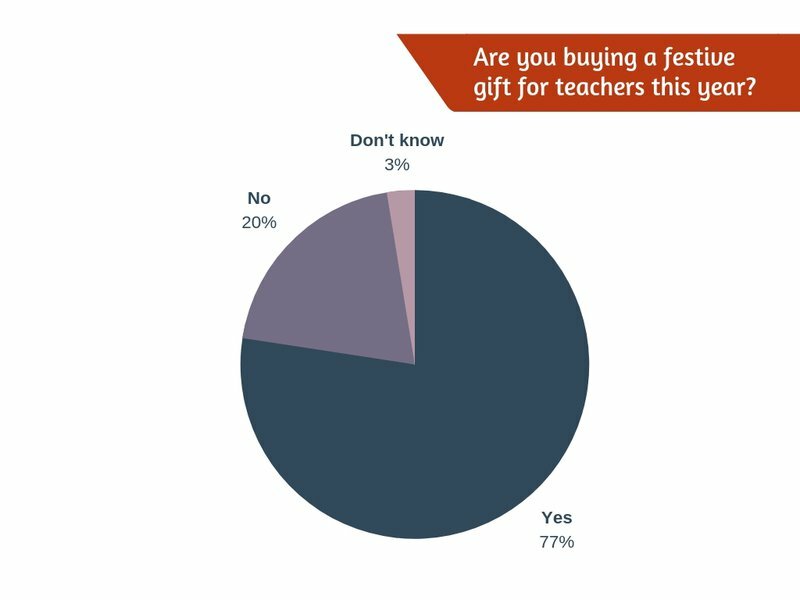 A quick poll of teacher friends reveals that there are only so many mugs and candles you can own, and please check if you're re-gifting – half-used items are a fairly common occurrence! We hope you've been inspired to think outside the box when choosing gifts for teachers this year! 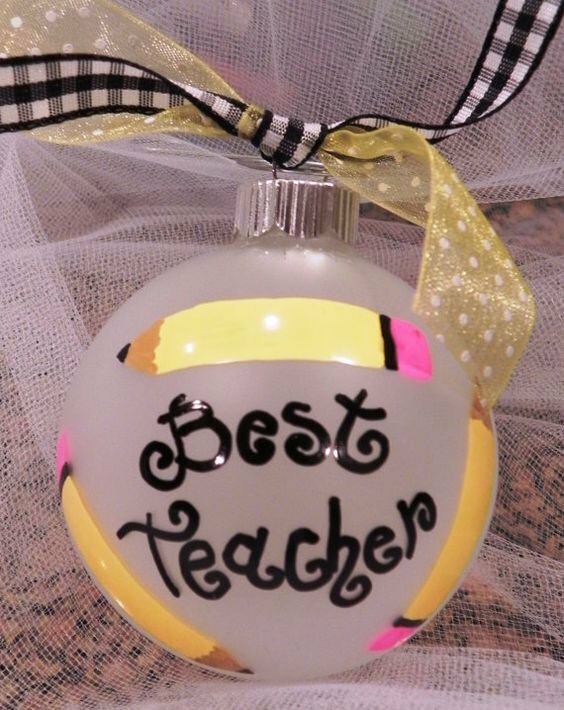 You'll also find loads of ideas on our Teacher Appreciation Pinterest Board. PTAsocial’s easy-to-use digital tools empower PTAs and PTOs to efficiently plan school community events, and radically increase volunteers and funds raised. Find out more here.